The coastal Kerala State is a unique place in SW India, unlike most other states. 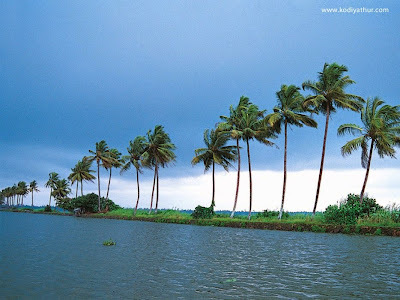 It is geographically endowed with myriads of long water ways or salty back waters (in Tamil they are called Uppankazikal) stretching and cir-crossing several miles on the Malabar coast beautifully lined on both sides with lush green fields and tall coconut or palm trees. Popularly referred to as ''God's Own Country'' in ads run by the Kerala state tourism department, it an ideal place for tourists who want to get their money's worth and to just to get away from the chaotic and maddening urban crowd. The back waters of coastal scenic Kerala is home to fascinating flora and fauna. Not only is it a ''God's Own Country'' but also Mother Nature's play ground. Absolutely a thrilling place to forget yourself and go into a trance. Positively, if people go on a holiday there, they will let themselves lose, relax and wander into a quiet, exhilarating world. Frankly speaking, many tourist spots world over may offer you a lot of fun and frolics but only a few may appeal to your heart and soul. In this respect, Kerala is a popular destination for people of all ages. Here your heart and soul meet and work wonders in tandem. For centuries, the hard working Keralites know how to use their vast natural resources to their advantage. Long ago the natives introduced cheap and easy transportation of goods from one place to another place through water ways. Several centuries ago, it was a well-known international center for spice trades that attracted the attention of European explorers to this mystic land. Artocarpus hirsuta which is commonly available here. Jack wood is resistant to water and would not rot that easily, Normally a house boat measures up to 100 feet long, and is capable of carrying 25 to 30 tons. The local carpenters use special age-old traditional methods to build them to last for a long time. To achieve better forward motion, speed and water resistance, the boats, especially cargo boats, are dynamically shaped with narrow ends on both sides. A surprising fact about Kettuvallams is, during production, no single nail is used. The boat is made of huge wooden planks joined together with coir ropes. Then they are coated with black resin made from boiled cashew nut shells. Regarding other materials that go in the making of the rice boats are Eco-friendly bamboo poles, coconut fiber ropes, bamboo mats, coir carpets, etc. In the colonial period and prior to that, Kettuvalam was mainly used to transport spices, rice etc., through the back waters from remote, isolated places to the nearest towns. The Kuttanad and the Cochin port water way was of particular interest in those days for goods earmarked for export. Kettuvalam is also referred to as 'pathemari.' They were called rice barges to transport mainly rice and other stuff in huge quantities roughly equal to two to three truck loads. In the olden days, it was the important mode of transformation for the natives because it was easy and accessible. The only shortcoming was it was time - consuming; it used to be a three day long boat travel from Cochin to Kattanadu. With the advent of modern transportation, the commercial use of Kettuvalam has slowly declined. Thanks to the boom in tourism. These kattuvalam house boats are sought after by tourists, especially foreigners. To cater to the needs of the tourists, Kettuvalam house boats, (once were cargo boats), now have well decorated interior, fully furnished two or three bed rooms, living room, a neat kitchen, hygienic toilet and, of course, an observation deck or balcony at roof level. The roof is reasonably high to have enough headroom. Since last decade, things have changed. 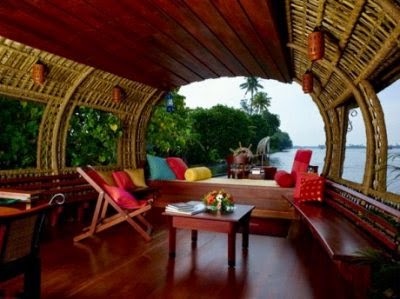 The town of Alappuzha is well known for such luxurious boats that come with different shapes and decor. More than 100 Kettuvalams ply the back waters and the town of Allapuza alone has more than 100 Kettuvalams. 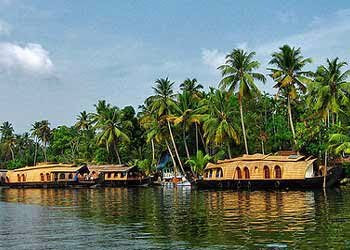 It is believed, Vembanad lake has about 400 operational houseboats. people roamed in late 1500's and later period - beginning of imperialism and a complete exploitation of the entire Indian sub continent. "Unforgettable house boat ride". Alleppey. 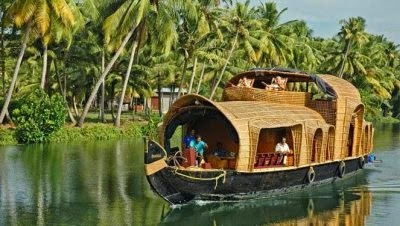 Travel Division of Kerala.com. Retrieved 2008-01-05.